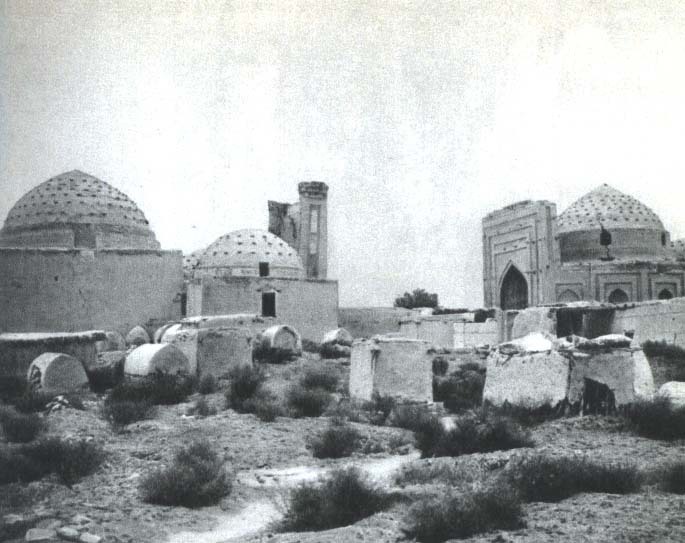 Najmeddin Kubra Mausoleum is the holiest spot in Kunya-Urgench. Najmeddin Kubra was a famous 12th-13th century Khorezm Muslim teacher and poet who founded the Sufic Kubra order. His tomb is believed to have healing properties and you will find pilgrims praying here. 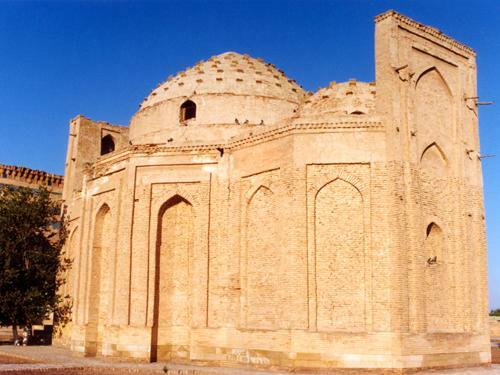 The building has three domes and a beautiful, unrestored, tiled portal. Opposite of the Najmeddin Kubra Mausoleum locate Sultan Ali Mausoleum (14-16th cc.). Together they combine into Kosh ensemble. This mausoleum composition is similar to the Mausoleum of Turabek-Khanym, but has no decor.